We believe that singing can be enjoyed by people of all ages. Our goal is to provide the fundamentals of singing through extensive breathing, physical, and practical vocal exercises. In conjunction with the exercises, we explore a wide range of music genres in an effort to broaden our students’ musical depth and knowledge. Our true mission, is to instill a sense of confidence and pride in each and every one of our students. 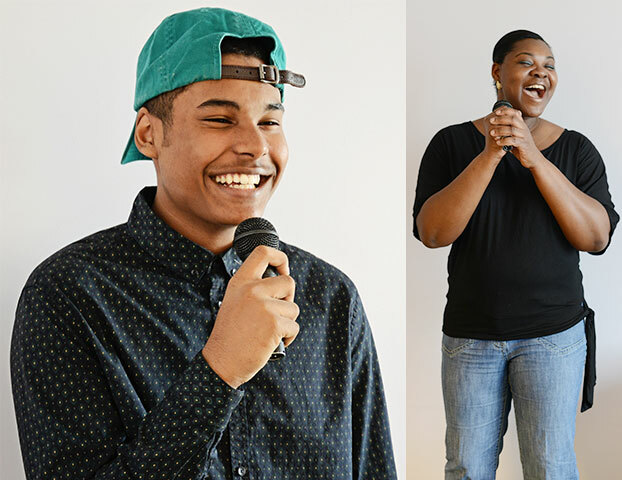 Singing is not just a skill, it is a passion that is felt through each and everyone of our vocal lessons. Our kinder vocal program introduces your little one to the joys of singing. It combines practical vocal training with fun activities geared to keep students motivated and eager to attend lessons. Our customized program includes popular children’s music and rhythmic exercises as well as spelling exercises. Your child will learn to love music and sing to their hearts’ content all amongst a scholastic and affable backdrop. Our preparatory program moves at a somewhat faster pace and caters to the slightly older beginner. Here we introduce the fundamentals of singing through various breathing exercises and physical activities to demonstrate to students how to warm up their vocal chords. 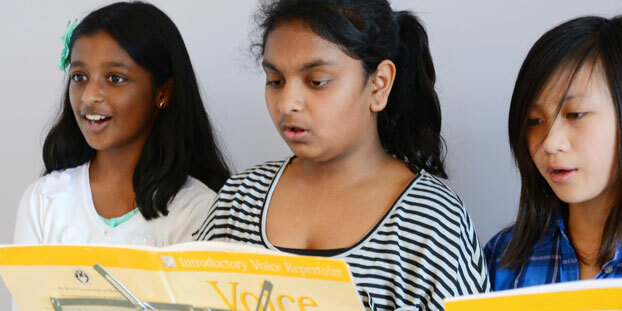 Students are introduced to note reading and musical theory in a manner appropriate to their age and attention level, using various musical styles ranging from classical to contemporary. This is a program for the later beginner, it moves more quickly than our preparatory program. The program offers a stronger emphasis on technique and performance as well as introduces students to more complex forms of musical theory. Have you always wanted to learn to sing? If it has always been your dream, there is no time like the present and it is never too late! Our adult program focuses on song singing and performing and uses various musical styles to help each and every student become a better vocalist.